you really do live in a beautiful, fairy tale place! I just love it! It is indeed a beautiful place! They are cute indeed! 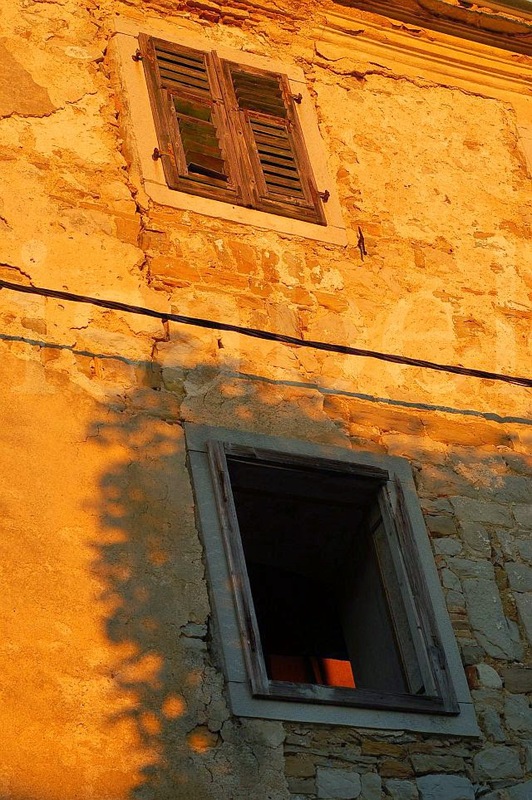 Missing Istria so much - will go back later this year. I can understand why you miss it so much! Absolutely magnificent!! These are just the type of photos I adore. 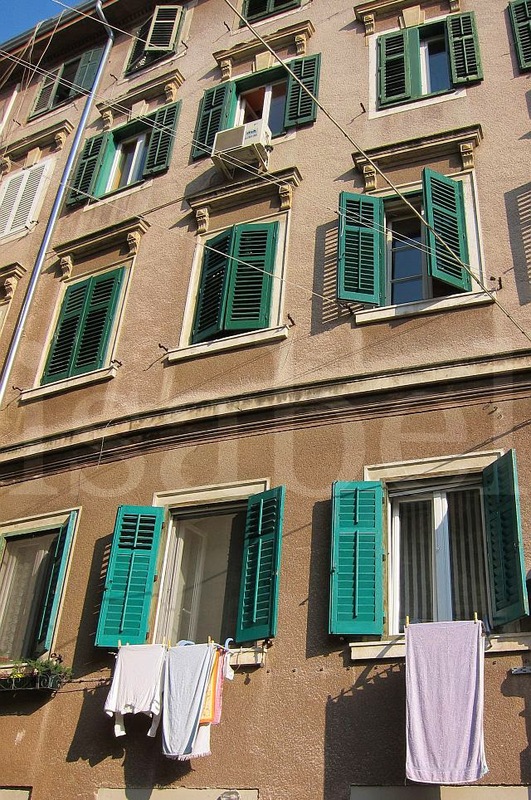 I love windows and doors and I love the Mediterranean. Your colors are gorgeous and your eye is outstanding. So happy to have found your blog today... :-) Liked and followed!! Thanks so much Lory! Please stop by my window again soon! 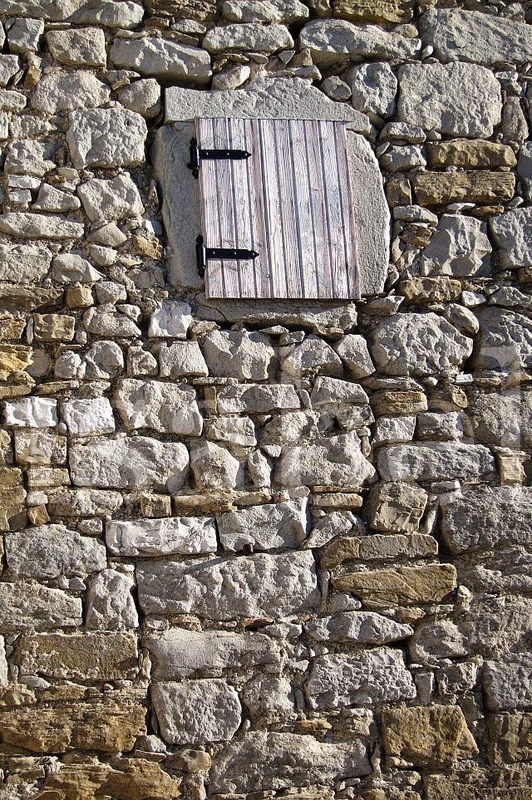 The small wooden window on the stone building made me chuckle--it's so cute! 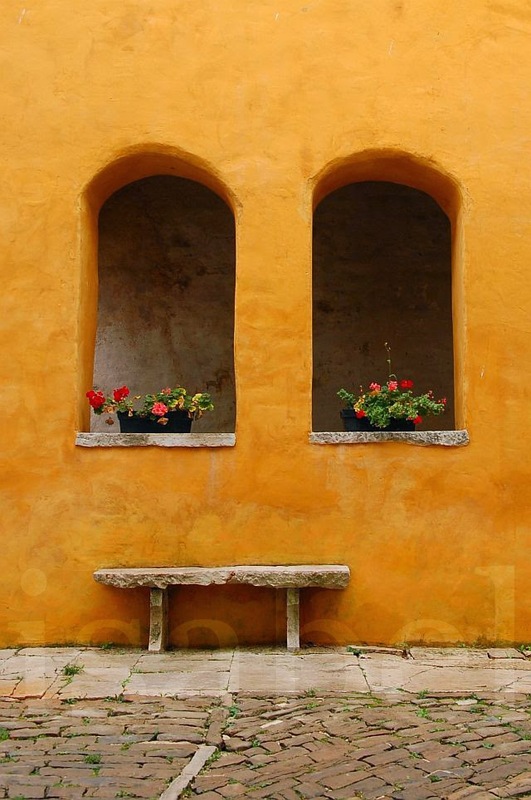 Yes, the windows here come in all shapes and sizes! Hello Isabel, came across your blog while searching for an Indian restaurant in Istria!! You have an enchanting blog and i read more and more of it!! Born in India, have been living in Amsterdam morer than half of my life and now visiting Croatia for holidays.. Croatia is stunning and the people so warm..just like in India...the landscape is untamed..yet reachable for man!! 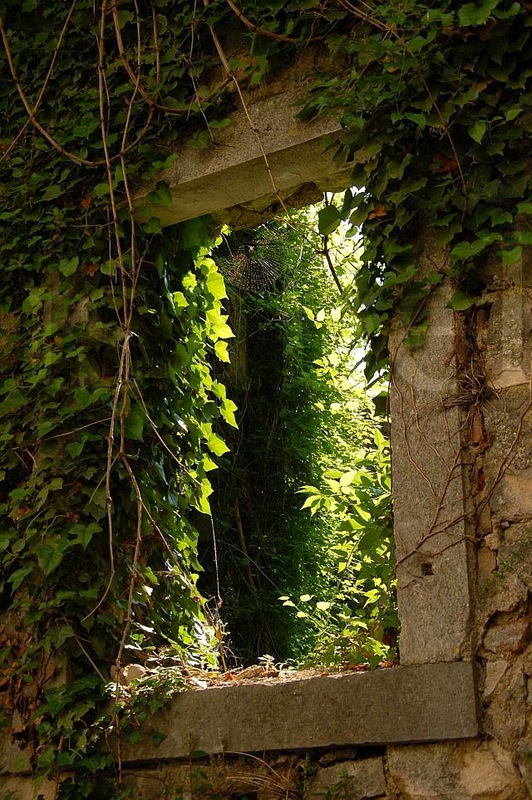 The builidings, windows, doors, Kazuns fields, mountains, coastlines, sunsets and sunrises fascinate me the most!! I love your blog And will keep following... Glad i searched google for india istria restaurant.. Which i didn't find!!! Hi Veenu, thanks for stopping by my window and for your kind words about my blog. I'm glad to hear you're from India - maybe you saw in my profile that I lived in India for close to 7 years and used to write a blog called 'INDIA outside my window'. I hope you're enjoying your holidays in Croatia, and no, sorry, there's definitely no Indian restaurant in Istria! Yes Isabel, i did see the blog about India..and will read it for sure! Btw managed to find an Vegan/vegetarian restaurant in Porec! It was great food! Even had Nan bread! That must have been Artha? I hope to make it there one day. Absolutely right!! You will enjoy! 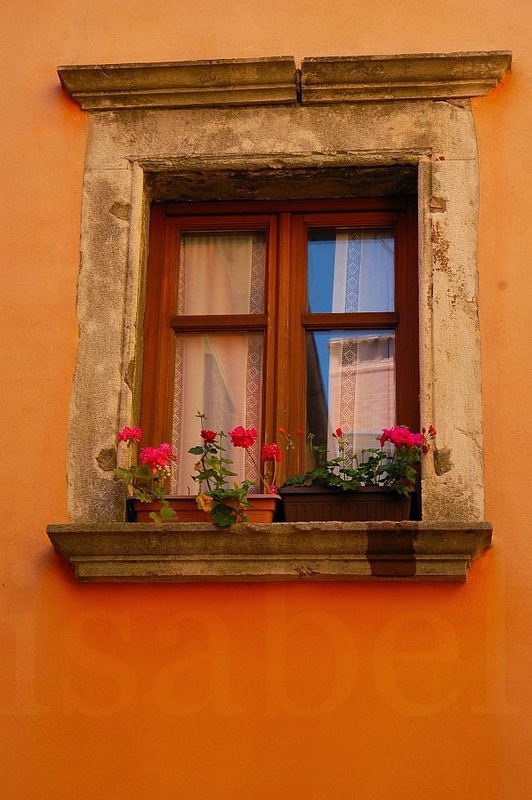 I love the windows, especially the fourth one, the pink geraniums and that sunny wall make a great travel poster for Istria. 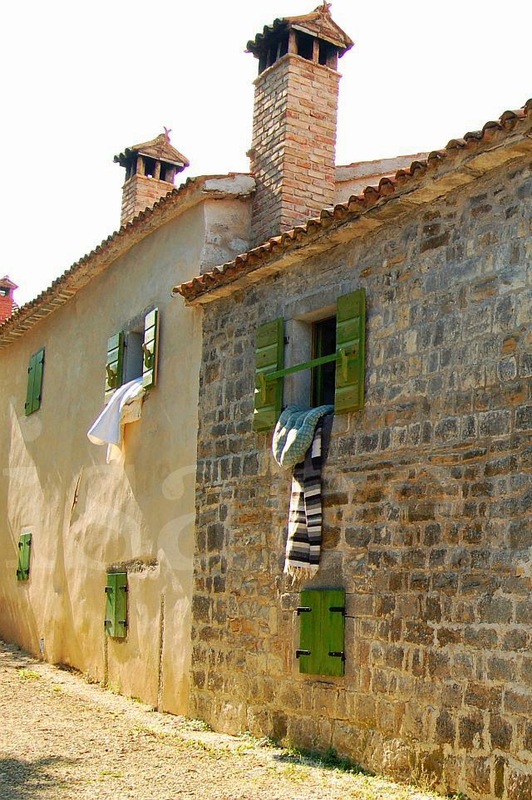 Your posts have definitely put Istria on my travel list. Thanks for sharing. I hope you have the chance to visit sometime soon! 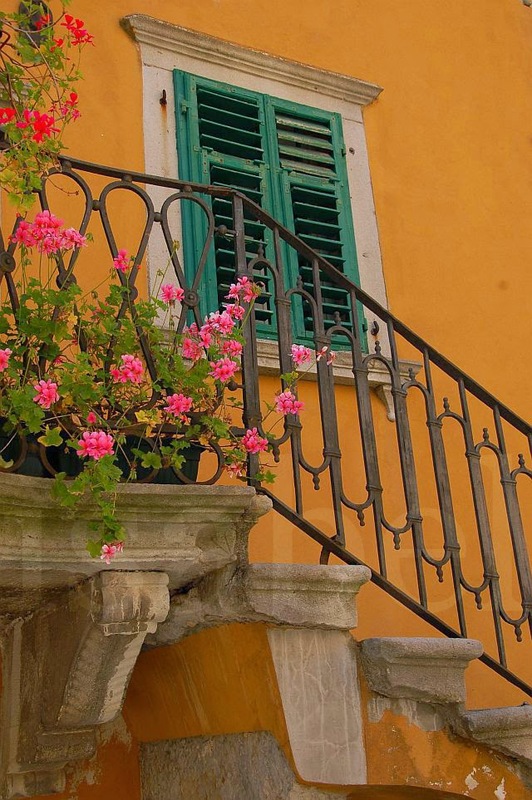 The photo you like was taken in Labin. What a wonderful post I can't get enough.